So we have put up our christmas tree already. It is early I know but my husband and daughter kept asking so it went up. I am beginning to think though that I will have had enough of it before christmas day but never mind. So this card is my attempt to make a card for a younger girl. Stamp- My Pink Stamper Fabulous Phrases, Hero Arts All Occasions. 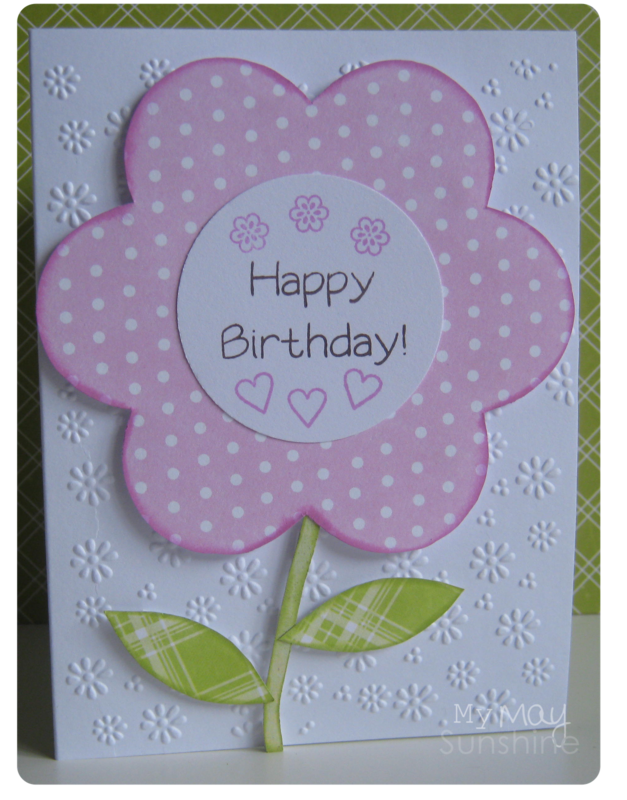 This card started with a flower die cut template from Jenni Bowlin, which I just drew around on to the pink polka dot paper and made the stem and the leaves to go with it. Adding the daisy embossing on the card base just jazzed up the plain card base as the card itself didn’t need anymore colourful pattern as the flower is so big. P.S To all the Americans, Happy Thanksgiving. Previous Post Laminated lists and drawing board.